Your child's first years at camp are so important. 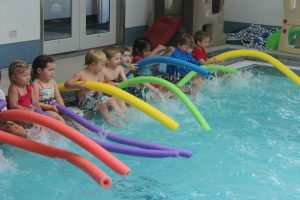 The Darien YMCA Preschool Camp provides a safe, nurturing and age appropriate environment while they play, learn, and grow. Children must be fully potty trained and turn 3 years by the start of the session they are registered for. Children may sign up for Lunch Bunch (see below). *5 day all day, (Mon – Fri), 8:30 AM – 3:30 PM. Supervised lunch and quiet play is available from 11:30 – 12:30 for Holly Hoppers who would like to extend one hour of their day or will stay for afternoon camp. Children must bring their own drink and lunch in disposable bag. Pre-Registration is required online or at the YMCA front desk- $10 per day.